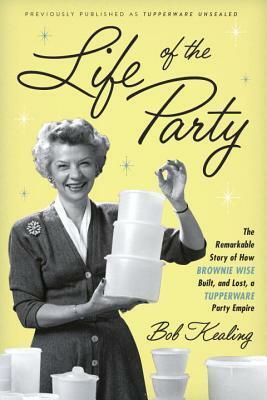 The Tupperware Party that Wise popularized, a master-class in the soft sell, drove Tupperware's sales to soaring heights. It also gave minimally educated and economically invisible postwar women, including some African-American women, an acceptable outlet for making their own money for their families—and for being rewarded for their efforts. With the people skills of Dale Carnegie, the looks of Doris Day, and the magnetism of Eva Peron, Wise was as popular among her many devoted followers as she was among the press, and she become the first woman to appear on the cover of BusinessWeek in 1954. Then, at the height of her success, Wise's ascent ended as quickly as it began. Earl Tupper fired her under mysterious circumstances, wrote her out of Tupperware's success story, and left her with a pittance. He walked away with a fortune and she disappeared—until now. I love biographies and I thought a story about a strong lady would be interesting. Tupperware had a huge market back in the 50s-on to even present day. Brownie Wise took this product and made it part of a home party business and boy did she sell it! Wow! The numbers on how much she sold and how popular she made this company is phenomenal. She was a single mother who wanted to make some extra cash and she had to drive to really make something of herself and do well. I found this book encouraging, even though the ending wasn't what I expected. I love that this story is real and I learned about the time period of the 50s.